Three Esri Startup Program partners have harnessed the data power in ArcGIS Online, as well as the 3D visualization capabilities of the ArcGIS platform, to create truly innovative solutions for visualizing outdoor and indoor spaces. Indoor Reality documents indoor spaces in a sequenced process to generate 3D floor plans that can be imported into ArcGIS Pro and ArcGIS Online. Knowing the inner dimensions of a building is crucial for facilities management, construction, safety, and more. 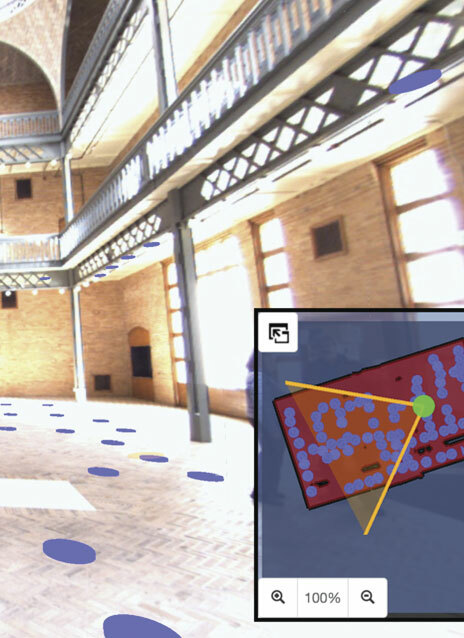 The complete 3D documentation, mapping, and positioning of indoor spaces inform building maintenance (especially when it's lagging behind) and help decipher a space's construction history (particularly when record keeping has been poor). Indoor Reality documents and visualizes indoor spaces in an efficient, sequenced process. A human operator wearing indoor lidar equipment walks through a building, capturing its dimensions 20 times faster than traditional, tripod-based solutions. The floor plans generated by this can be imported into ArcGIS Pro and ArcGIS Online, where they can be viewed and georeferenced as well as authored and shared as 3D web scenes. Because Indoor Reality processes data via an automated pipeline, businesses and building owners can put together 3D floor plans in industry-standard formats twice as quickly as they could have with previous workflows. This means that building managers can document construction work daily, monitor restoration progress more accurately, ensure that elements of their models don't clash (occupy the same space) with one another, and pay subcontractors based on how much of the job they've completed. Learn more about Indoor Reality. 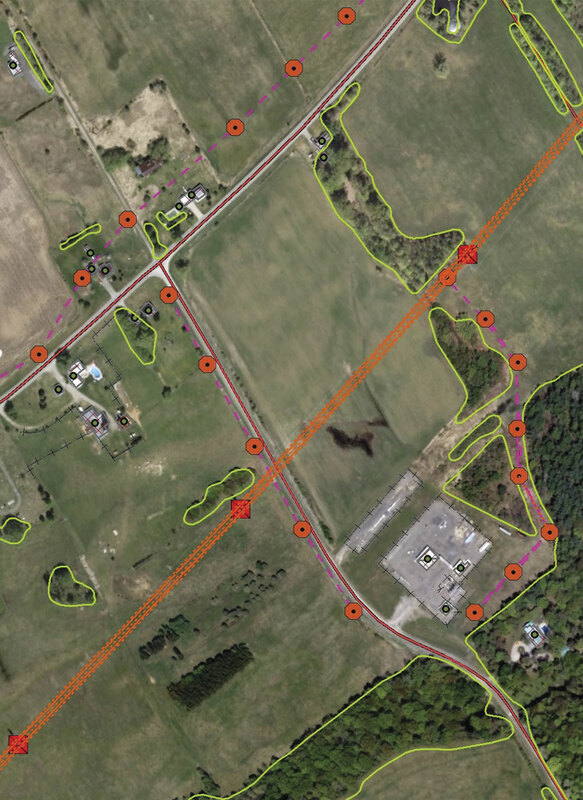 When a global engineering company needed real-time access to data about a multibillion-dollar pipeline, Civil Maps created a Web GIS app using ArcGIS. For capital engineering projects, in which new construction or renovations typically improve a piece of city infrastructure, it has always been challenging to share data. Usually, these projects involve multiple teams from various departments that, many times, hail from different companies in disparate locations. It is often difficult to get ahold of complete and comprehensive data to use to make informed decisions. But Web GIS portals have started changing that. By nature, they enrich teamwork and are ideal for reviewing these kinds of projects in their entirety. Recently, a global engineering consulting company in the middle of a major multibillion-dollar pipeline project needed to have real-time access to data about the pipeline's right-of-way corridor. So the company enlisted Civil Maps and SkyTech Solutions Ltd. to populate a Web GIS app with the high-value data. First, SkyTech used a vehicle-mounted lidar unit and unmanned aerial systems (UAS) to collect data for the project area. Then Civil Maps used its machine learning feature extraction capability—which, by learning from the data, can perform predictive analysis on it—to rapidly map the entire 100-square-kilometer area. Within just a few weeks, Civil Maps had extracted more than 20 different feature classes with almost 4,000 discrete features. Using ArcGIS for Desktop, the project team from Civil Maps and SkyTech did thorough quality control of the data and prepared it to go into the engineering company's relational database management system (RDBMS). The team used the company's own standards for feature extraction and quality control, which made it easy to track changes and load the final geodatabase into the RDBMS. The engineering company is now using this comprehensive dataset, available to everyone working on the project via its Web GIS portal, to collaborate on the capital project. Not only is the dataset being used as a meeting tool, but it is also supporting discussions with the company's senior decision-makers. Learn more about Civil Maps. Vricon created accurate 3D models of urban areas so military operators could conduct line-of-sight analysis and ensure situational awareness. Urban operations, such as urban warfare or humanitarian relief in built-up areas, are challenging under any circumstances. Civilian responders and military operators need accurate 3D models to be able to conduct line-of-sight analysis, visualize buildings (including their heights), and ensure situational awareness. 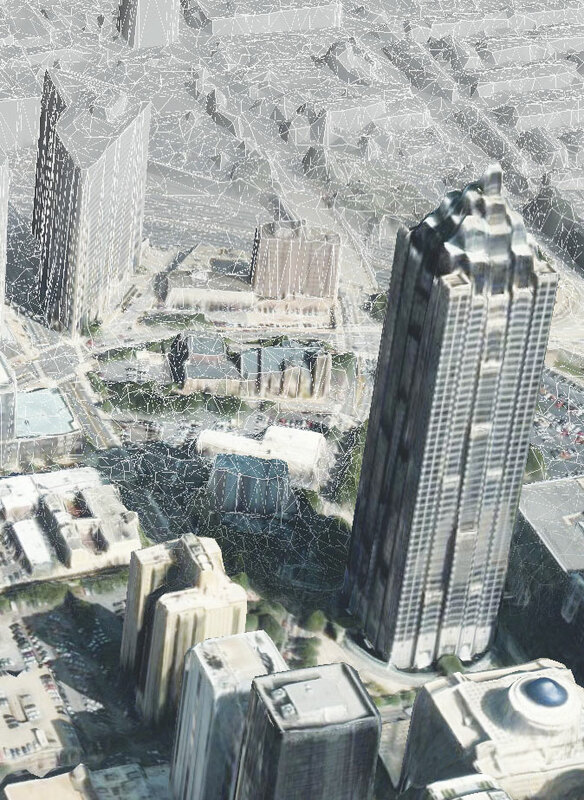 Because urban operations are not limited to a single city block and can occur anywhere in the world, 3D models must cover large geographic regions. They also need to be built using unclassified imagery so they can be shared with other governments and organizations in joint operations. To fulfill these requirements, the 3rd (United Kingdom) Division of the British Army—the country's only division that maintains constant operational readiness—turned to Vricon and Esri to help with the planning and visualization required to conduct urban terrain analysis. The Division used Vricon's 3D Surface Model, which shows the entire globe in 3D at 0.5-meter resolution with three-meter absolute accuracy, with ArcGIS for Desktop to create a dynamic 3D visualization of a mission-specific objective. It then tested the 3D visualization in an exercise to train personnel for real-life scenarios. The 3D model line-of-sight analysis took into account the actual (rather than estimated) heights of buildings. What's more, military operators and civilian responders could work with Vricon 3D data using the ArcGIS tools that they were already familiar with. Thus, they could dynamically visualize urban terrain and quickly share more precise results with decision-makers. Additionally, being able to fuse other data sources, such as social media feeds, with Vricon's 3D and elevation data—all within the familiar ArcGIS platform—provides limitless possibilities for supporting current and emerging urban operations that cover more than just a city block.